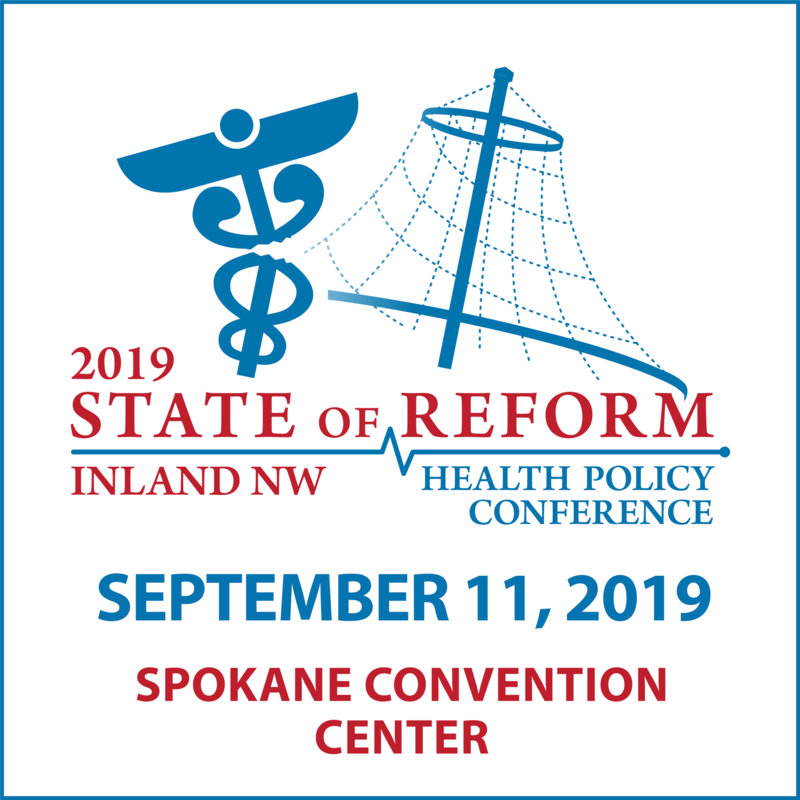 Our 2017 Inland Northwest State of Reform Health Policy Conference Detailed Agenda is a list of over 65 speakers from across the spectrum of health care and policy. The heading colors correspond to track colors on our Topical Agenda to help you organize your day. The agenda and speaker list are driven by input from our Convening Panel of leaders in Inland Northwest health care and we’re looking forward to a great event on September 13th. If you’re not already registered you can do so here. For now, let us know if you have any questions about the conference. We hope to see you in Spokane! This opening session will kick off the day with some comments on the role of State of Reform and the day's content in a new era of policy and politics. Few figures have been engaged in health reform and health policy for as long as the morning keynote speaker. He was professionally trained as an optometrist, served in Congress and was a member of the Washington legislature. Since 2000, he has been elected as Insurance Commissioner for the State of Washington, making him the most senior insurance commissioner in the United States. Our keynote speaker will update our audience on the latest discussions in Washington DC, on the state of the ACA in Washington State, and the policy discussions which lie ahead for our region. The policy ground may be settling in Washington DC, but that is unlikely to stay stable for long. This panel will discuss the various moving parts in the policy discussion, and what we might see come from the nation’s capital on health policy in the weeks and months ahead. It is true throughout healthcare, but particularly in the rural settings, that if we don’t have people to do the job, it doesn’t matter how smart the system or strategy is. So, paying attention to the development of our workforce, both in terms of numbers and in terms of quality, becomes critically important. This panel will discuss the topic and shed light on the innovations coming to the process. ACHs are getting certified, funds will soon be released, and the hope of community transformation will follow. But, not all ACHs are created equally. This panel will elevate the stories, the successes and the variation in ACHs that Washington State is seeing across the transformation landscape. Has the momentum on value based payments slowed, or are partners picking one another after careful - and quiet - deliberation? This panel of experts will offer their view on where VBP is today and what we might expect to see among plan-provider discussions in the months ahead. Sometimes, the most important policy insight comes from the lobbyists and government relations professionals that help make the legislative process work. This panel offers attendees the opportunity to hear from some of the leading advocates in Washington State, whose work “on the ground” in Olympia will impact healthcare across the state. Changing healthcare requires a change in culture. And, changing culture requires a careful shift in how providers and administrative professionals are trained, educated, and prepared. This panel will address culture, as well as the nuts and bolts of medical education, and look ahead to the implications for the future system overall. This panel will discuss the lessons learned through a program and collaboration focused on building a system around the patient to fully manage and coordinate medication. This multi-silo program, based in rural Washington, has implications beyond the setting in which the program was based. Come learn from this panel as they share their story. The group market has seemed to sidestep some of the impacts of the recent reform discussion, but significant shifts in the market are underway outside of the direct policy consequences. This panel of experts will offer their insights into the shifting nature of the employer purchasing world, and what it means for the broader system. Legislative Democrats will join this panel to talk through their priorities, policies, and plans for the 2018 legislature, both for health care and policy in general. Bring your questions for the Q&A period in what is always a well attended, interesting discussion. Philanthropy has changed in the last few decades, and the impacts on health care are significant. Philanthropic organizations now often see themselves as capacity builders, venture funders, or looking to build system-level ROI. Hear from this panel of strategic leaders as they discuss their approach to philanthropy in health care today. Counties, MCOs and BHOs continue to move towards financial integration. Commercial plans are also making significant strides to integrate behavioral and physical care. This panel will discuss some of the strategies in place related to integration, and give a progress report on the lessons learned as a result. The consolidation activity in the market today among health plans and providers is increasing. That, in turn, is causing new conversations among plans and providers related to partnership, reimbursement and quality outcomes. This panel will discuss how those conversations are taking shape and evolving in light of market activity. All “Four Corners” of the legislature will be represented in this lunchtime discussion about the state of our politics in 2017. After the longest legislative session on record, and a time of coarsening national politics, these four leaders - each deeply esteemed by their peers on both sides of the aisle - will talk through the road ahead for Washington State policy and political leaders. These leaders from both the House and the Senate will discuss the policy outcomes from the last session, the work underway in the interim, and look ahead to the 2018 legislative session. Bring your ideas, and be ready for a thoughtful dialog with this group of well-respected legislators. The tribal health system in Washington State is significantly different from the non-tribal system. In that diversity is opportunity for new systems, learnings, and improved outcomes. This group of experts work back and forth across the divides between the systems to offer their observations about opportunities for system growth. For decades, counties have played a role in mental health carved out from the rest of the system. Public health has also been largely separate from the medical system. Now, through changing policy, new financial challenges, and emerging partners, these county-based systems are taking on new roles. Listen to this panel of experts discuss the changing rationale of counties in health care today. The individual market continues to struggle in Washington State. Plan offerings are thinning, while rates continue to go up beyond other lines of business. This session will highlight the challenges and the potential pathways forward for this precarious market. Health reform may have stalled in Washington DC, but that doesn’t mean the reform conversation is complete. Whether the US moves to an ACA 2.0 model, or a system that is wholly different from the ACA, reform after the ACA will continue. This group of thought leaders will outline the options, principles, and possibilities for the healthcare system after the ACA. Washington State government is the largest and perhaps most active purchaser in the state. The scope and model of buying care for the public employees is as innovative and as ambitious as any purchasing strategy in the US. This session will discuss the moving pieces in this puzzle, offer a reflection on the initial results of the strategy, and look ahead to what PEBB looks like in the months and years ahead. As our population continues to age, the management of health care providers, of care transitions, and of elderly medical needs continues to get more complicated. This is true both at a system and individual level. This session will discuss the trends in long term care, and the implication at both the micro and macro level. Who Should Pay for the Opioid Crisis? The opioid crisis is now fully in the mainstream consciousness. Its impacts run across health care, human services, public safety and other safety net and care systems. But, with multiple systems and stakeholders involved, who should be responsible for footing the bill? This session will take up the question, with implications for many in the healthcare system. This panel includes stakeholders from across the spectrum of system-level innovation in Washington State. From Medicaid to counties, health plans to the State, things are changing in healthcare but it’s not always clear that the visions are aligned to be able to achieve real transformation. This panel of some of the leading experts in the state will join our closing panel to talk through the future of reform in Eastern Washington.